I don’t ever want to know how many calories they have in them. Sugar OD! Have (an) a Vegan Cuban Dinner in Phoenix! 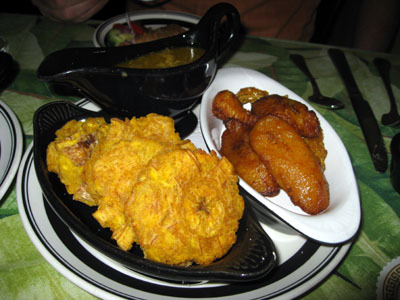 When most people think of Cuban food, “vegan-friendly dining” doesn’t usually come to mind. 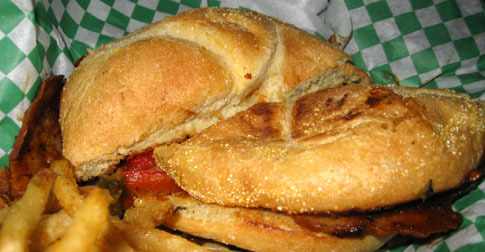 Cuban cuisine is typically rich in flavored meats such as picadillo and classic sandwiches like the medianoche. 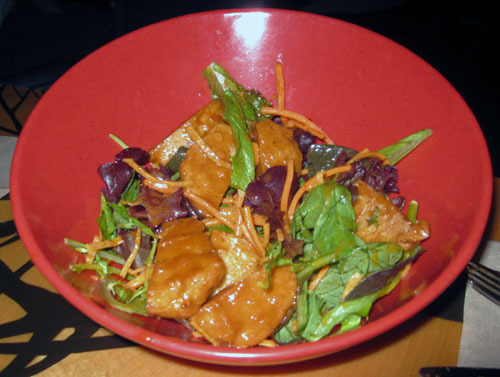 But in reality, it’s a dining experience full of vegan/vegetarian options that tantalize the taste buds! I was raised in Orlando, Florida, which was full of great Cuban and Puerto Rican restaurants. I lived near a significant Seventh-day Adventist community, which adheres to a strict vegetarian diet. 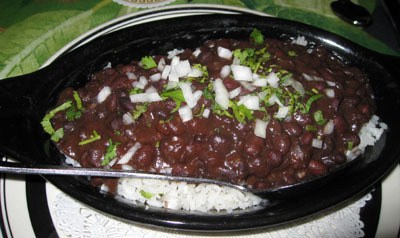 As a result, my favorite local family-style Cuban restaurant, Don Pepe’s Cuban Café (renamed Habana Grill since I moved), has a wide assortment of vegetarian and vegan items to cater to this community. We love their food so much we had them cater our wedding 10 years ago. The lack of authentic Cuban food in Phoenix was a bit of a shock to my system when I moved here. The only Cuban restaurant I could find was Havana Café on Camelback. At the time I first tried it, the memory of my favorite Florida restaurant was too fresh in my mind. It’s thirteen years later now, and the memories have faded. I’ve grown to value the unique offerings at Havana Café, and appreciate the amount of vegan items on the menu. 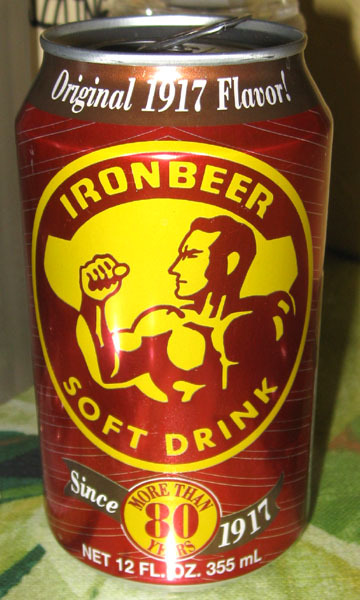 We also had some fun Caribbean sodas – Iron Beer and Jamaican Ginger Beer. Our waiter was very good at pointing out what was vegan, but we could only eat so much in one meal. 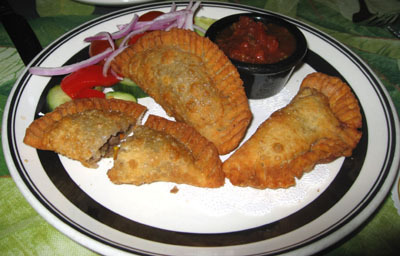 Other appetizers and tapas items that are vegan include gazpacho soup, interesting salads and yuca fries. I still need try more vegetarian items (but I don’t know yet if they are vegan) with interesting names such as “Sun Spots” (sweet potato fries) and “Frituras de Frijoles Negros” (black bean fritters). If you want a full entrée, Paella de Legumbres and Cho Cho (without the cream sauce) are probably your best options. However the paella takes awhile to make and I haven’t tried it yet, so make sure you ask if they use any butter/meat/fish/poultry stock before ordering! They also have a gluten-free menu which includes many vegan/vegetarian items. Havana Café will never supplant my favorite Cuban restaurants in Florida, but it’s a nice, friendly restaurant with a style all its own, and is close to where I work on Camelback. There is another location in North Scottsdale as well, called “Havana Patio Café”. Both are open for lunch and dinner Monday through Saturday, dinner only on Sunday. Update: see expanded list of vegan options in the comments! When in doubt, there are two fairly “safe bets” for dining out if you’re a vegan: Middle Eastern and Thai food. 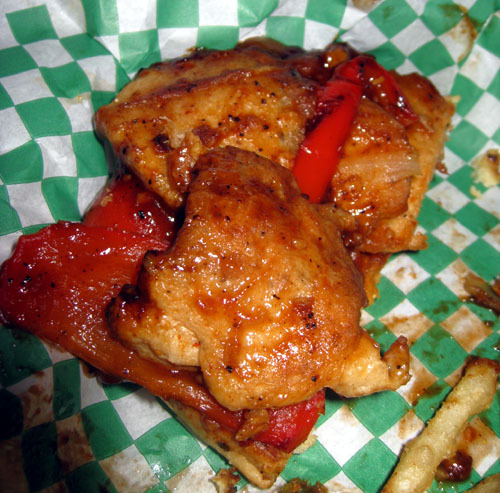 I plan to review my Phoenix favorites for both cuisines in this blog over time. 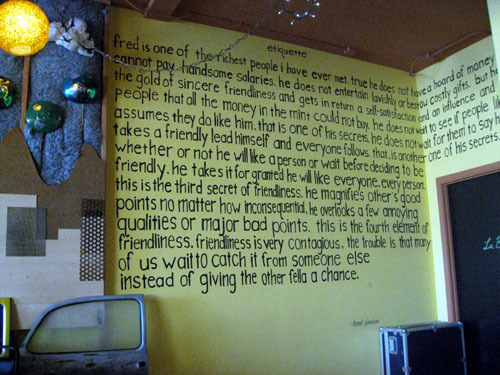 We recently visited Malee’s Thai Bistro on Main St. in Scottsdale prior to seeing David Sedaris at the Scottsdale Center for the Performing Arts. The meal was so I good thought it deserved a quick shout out. 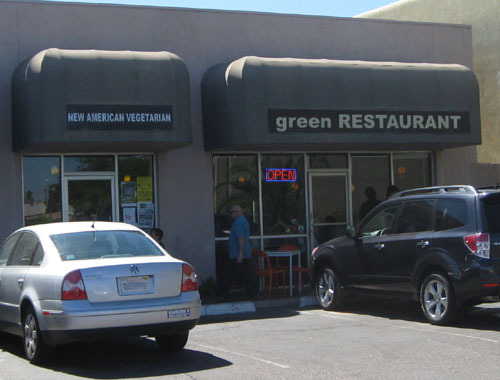 There are some darn fine Thai restaurants in Phoenix, most of which are small, family-owned casual dining restaurants. 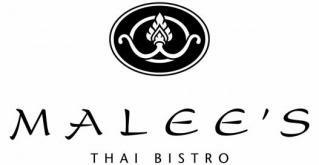 Malee’s stands out from the crowd because while the prices are still reasonable, it is an “upscale restaurant” – aka the type I can take business associates to for lunch or dinner. It also does a great job of catering to vegetarians/vegans. Not only do they have a vegetarian section on the menu, but I’ve also been able to order non-vegetarian items with tofu (and the required verbal verification that the sauce doesn’t have beef/chicken broth or fish oil). We also like that you can get many dishes as a small plate or full size (which is enough for two) which allows us to each order an entrée and share, or share a large dish and get an appetizer! I wouldn’t swear that Malee’s is the most authentic Thai/SE Asian restaurant in Phoenix, but it’s close. When I was in Singapore I had a red curry at Villa Bali that still blows my mind when I think about it. Malee’s Arizona Heatwave is the only dish that has come close to replicating the flavor that I remember from Singapore. It’s a great place to go with omnivores when you’re looking to have a nice dining experience that makes everyone happy. What a concept: vegan food, brought to your front door! Life can be full of little inconveniences if you’re a vegan in Phoenix (or anywhere except LA I think). The day my eye caught the word “delivery” on the zpizza online menu, I did a happy dance knowing that at some level, I could rejoin the world of convenience dining. Having pizza delivered to your door is one of the greatest conveniences ever conceived. It ranks up there on the “OMG I am so lazy” scale with TV remote controls, self-scooping litter boxes and emailing your husband when he’s sitting on the couch right next to you. I heard of zpizza awhile ago, but at the time their soy cheese wasn’t vegan (aka “why bother?”). Our good friend Neil Hamburger, who is a gluten-free vegan, was in Phoenix on tour last fall with Puscifer and discovered zpizza when he wandered around downtown looking for food. When we met up with him for dinner he was raving about it, because finding gluten-free vegan food when you’re touring across the country as an opening act (aka not in control of your schedule or catering) can be highly inconvenient. The Berkeley Vegan is the obvious go-to, but they can make many other pies, pasta, sandwiches, salads and calzones vegan as well. Although the website doesn’t provide a listing of food ingredients/allergens (note: see update below), the manager at our local shop knows the ingredients well and is happy to guide us toward the vegan options. They of course use Daiya cheese, and I believe they use Gardein sausage-like meat. The marinara sauce is vegan, but I’m not sure about the pestos or roasted garlic sauce. The dough is vegan and can be ordered gluten free too. The balsamic vinaigrette is vegan (other dressings may be too). So if you live within a zpizza delivery zone, want a great vegan pizza and just don’t feel like leaving the house, go for it! Indulge yourself in the luxury of home delivery! You can even order online, eliminating the need to talk to anyone except the delivery person! Just don’t forget to put it in your own oven for a bit to give the Daiya cheese a chance to cook up well. Follow zpizza on Facebook and Twitter for frequent coupons/deals. 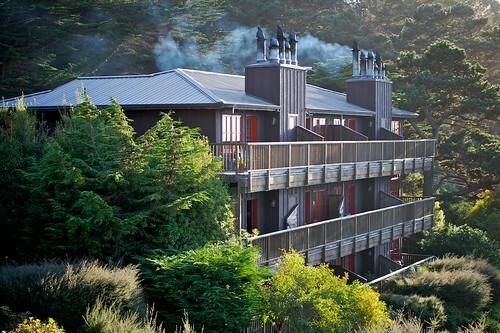 Vegan vacation: Stanford Inn by the Sea in Mendocino, Calif.
Two things compelled me to write about a non-Phoenix vegan destination. 1. I really need a vacation, and 2. 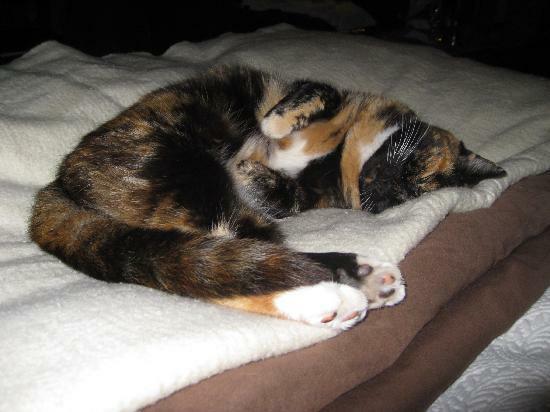 We just learned that the beautiful cat that stayed with us at the Stanford Inn by the Sea in Mendocino, Calif. passed away. If you are like us, “Where are we going to eat?” always factors into our vacation planning. Especially after we traveled to South Dakota to see Mount Rushmore a few summers ago. I sure hope Pepto-Bismol is vegan because my husband downed at least two quarts of it during our misadventures in dining there. Last fall, we decided to visit the redwoods in California. I’ll admit that I was motivated because my favorite National Geographic explorer J. Michael Fay conducted a “redwoods transect” of the area and I really like to say the word “megatransect” (the name for his trek across the Congo and Gabon). But mostly we went because we found what I believe is probably the best vegan resort on the planet – the Stanford Inn by the Sea. And most important: the kitties that live at the inn. I think we have some type of cat-magnet vibe about us, because all three nights we stayed there, a lovely calico kitty named “Callie” invited herself into our room and slept with us. We were very sad to hear of her passing. She was precious. The vegetarian/vegan Raven’s Restaurant is attached to the inn. Breakfast is included with the room, and they serve both vegetarian and vegan options. Be hungry, because it’s a full meal. The “Vegetarian Garden Scramble” was good, but I think I liked the “Stanford Ranchero” the best. 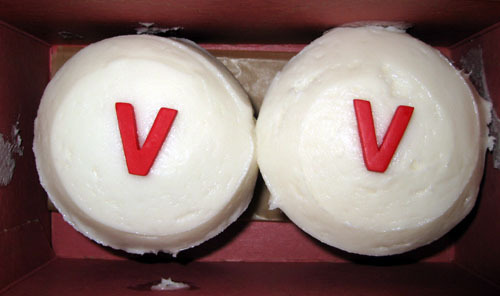 The fresh vegan muffins were great too. We ate dinner at the Raven’s Restaurant two of our three nights there. It looks like they recently brought in a new chef and have almost completely changed the menu. That’s probably a plus, because the dinners were just “good” (not exceptional) and they were somewhat expensive. We also could have been spoiled because we stayed in San Francisco during the first night of our vacation and had a glorious meal at Millennium. Given the location and ability to just roll out the restaurant to our hotel room, we were pleased with what we got. I remember the soup and the pasta being particularly excellent, as were the deserts. The new menu looks great, so I hope we are able to make a second visit. It would be sad to not see Callie though. Don’t forget to try the local wines as well – which was another plus of the restaurant being attached to the hotel! No need to have a designated driver to navigate the twisty coastal roads after dinner! We’re always looking for other great places to stay that are vegan-friendly, so please pass along recommendations. There was plenty to do (and other places to eat at) in the area, but since I’m trying (and failing) to take my husband’s advice and “keep the posts short” – I’ll save that for another day. When Daiya (pronounced day-a) vegan cheese first arrived in the non-dairy section of our local Whole Foods it seemed a bit odd because it was sold in the containers usually reserved for Whole Foods’ own prepared foods – hand packed and sold by individual weight. This didn’t seem like an ideal retail distribution strategy to me. 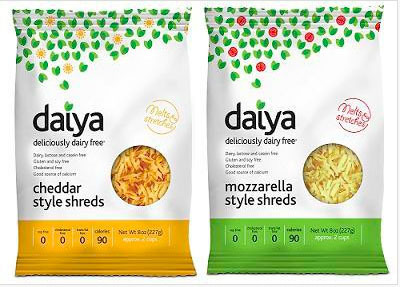 Last week, Daiya started appearing in actual retail packaging, signaling a broader distribution of the product, which can only mean good things for vegans who still want a little melty cheesy goodness in their lives. I first heard about Daiya from the Quarry Girl blog and was intrigued. It seemed like the miracle vegan cheese. Kicking cheese was the hardest part of going vegan for me. I’ve tried other vegan cheese but they either had the texture of plastic, or wouldn’t melt. My palate may have changed enough that I wouldn’t like real cheese now at all, but Daiya fills a major gap in my diet. First we tried the mozzarella style white cheese, which was perfect for pizza and my Italian noodle casserole (which my family calls goulash but couldn’t be farther from it – it’s more like hamburger helper). After one of my husband’s homemade pizza pies I was sold. It melted so well, and even browned on the edges and bubbled up appropriately. Then the cheddar style started showing up. Our immediate thought of where to put Daiya cheddar was tacos. Taco night is a big thing in my house. We had tried other vegan cheddars but we were very “meh” about them. With Daiya, our tacos had an added dimension of yum. All of the sudden my mind started opening up to all the things I used to make with cheddar cheese. Cheese crisps, grilled cheeses, quesadillas, enchiladas, chili, bagels with cheese, nachos… and made them all in like, one week. Daiya overload! Then came the true test for Daiya cheddar: mac and cheese. Daiya not only passed, it was exceptionally good. Okay, maybe not quite as good as Velveeta (my family’s cheese of choice when I was growing up), but for a person who lived on mac and cheese throughout the majority of her life, it was revolutionary. 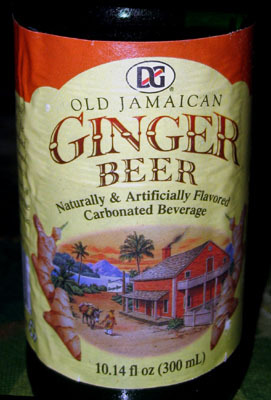 I’m hoping that with Daiya’s new retail distribution, more grocery stores and local restaurants will start carrying it. I think Green offers it as an option for their food. zpizza makes its Berkeley Vegan pies with it, but we think they need to refine the prep a bit. They tend to put too much on and not cook it enough, so we usually bring the pie home and cook it a little more in our oven to get it to the right texture. Amy’s Kitchen frozen foods makes a (not exactly healthy) mac and cheese with Daiya that I got from a Whole Foods in Texas but I haven’t found in Phoenix yet. It was so good I scraped the burnt-on cheese off the side of the carton (even after reading that it had 520 calories and 22 grams of fat, which is more than their standard cheese version). The new Daiya retail packs are a bit more expensive than the hand-packed containers at Whole Foods, but the shelf life is longer so it should help it to gain broader distribution. I believe Whole Foods wills still carry block (not shredded) hand-packed Daiya cheddar too, for those who want to shred it or slice it themselves. For a shot at trying it for free, PETA is running a contest. Winners receive two 5-pound bags of Daiya that they are supposed to use to host a party. I’ve been trying to figure out what to do for my husband’s 50th. A Daiya cheese party sounds like a great idea!